Today is Epiphany, or the 12th day of Christmas, which marks the official end to the festive season. It also traditionally honours the three Kings making a visit to baby Jesus. The word ‘Epiphany’ is Greek in origin and means to show, referring to Jesus being revealed to the world. 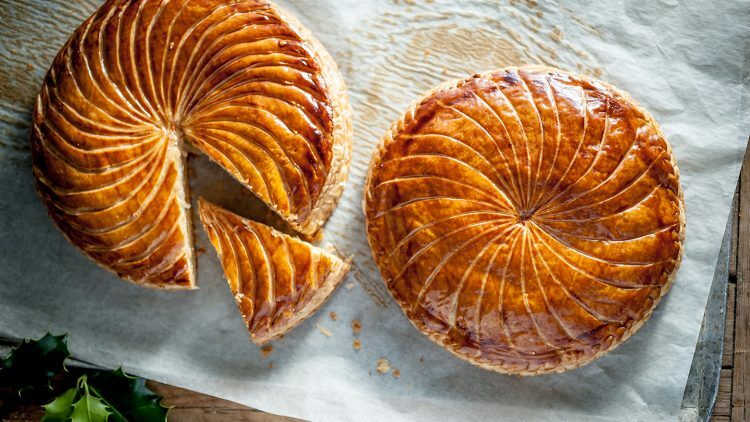 In France we celebrate this holiday with a Galette Des Rois, a showstopper dessert which we hide two porcelain figures or broad beans inside. The lucky finders of the hidden figures will be named King & Queen for the day, with a beautiful homemade crown to wear and with all their wishes granted. If you would like to try and make this delicious dessert at home, follow Raymond Blanc’s fantastic recipe, and we’d love to see your gorgeous pictures of the results. Tag us on Facebook, Twitter or Instagram.